Rare cancers in the United States have been defined as those cancers for which the incidence rate is less than 15 cases per 100,000 population or fewer than 40,000 new cases per year . While the incidence of any one rare cancer may be small, they collectively account for 27% of neoplasms diagnosed each year, and are responsible for 25% of cancer-related deaths in the United States . Rapid technological advances have allowed cancer characterization to move beyond histology to detailed mutational analysis at the molecular level. The rapidly changing diagnostic landscape will likely increase the numbers of cancers considered to be ‘rare’ as mutational analyses identify rare molecular subtypes of ‘common’ cancers. This is already happening in common cancers such as non-small-cell lung cancer, with approximately 2–7% of these cancers found to be harboring mutations in the ALK gene . With the Surveillance, Epidemiology, and End Results Program reporting an overall non-small-cell lung cancer incidence rate of approximately 41 in 100,000 individuals, the incidence rate of ALK-mutated non-small-cell lung cancers qualifies these as rare cancers [2, 3]. Although therapies targeted to ALK-mutated non-small-cell lung cancer are showing promise , treatments for many rare cancers are sorely needed. We review here the difficulties in developing treatments for rare cancers and describe a new Rare Tumor Initiative (RTI) in the Center for Cancer Research (CCR) at the National Cancer Institute (NCI). Rare diseases present several challenges to researchers working to develop therapies. Even large academic centers may not see enough patients with exceedingly rare tumors to establish broad expertise in the pathogenesis, clinical presentation, natural history, diagnosis, and best management of very rare tumors. Without an understanding of how the disease progresses it is difficult to counsel patients and their families, as well as to determine the most robust endpoints in clinical trials. An in-depth basic understanding of rare tumors requires access to tumor samples and other biologic specimens from as many patients as possible to study molecular and genomic alterations. Because patient samples come from heterogeneous genetic backgrounds, it is difficult to identify tumor drivers without studying sufficient samples for statistical analyses. Inability to collect sufficient high-quality samples can negatively impact progress in learning about the basic biology of rare tumors. Patient samples are also needed to establish cultured cell lines or patient-derived xenografts for testing potential therapeutics. Candidate molecular drivers can be harnessed to develop genetically engineered mouse models to further study tumor biology and test candidate therapies. Without patient samples and knowledge of molecular drivers of tumorigenesis, preclinical testing of therapies becomes severely limited, if not impossible. The development, timely enrollment, and completion of clinical trials for very rare tumors is challenging due to the need for participation by multiple national and potentially international sites, which may be associated with logistical difficulties and specific regulatory requirements. Robust clinical endpoints are needed to allow results to be analyzed from small numbers of patients. Given the challenges specific to rare tumor research, the CCR at NCI launched the Rare Tumors Initiative (RTI) in 2013 to better leverage the expertise of NCI intramural basic and clinical investigators studying rare tumors. The goal of the RTI is to accelerate the translation of potential new therapies for rare tumors by helping overcome some of the challenges inherent in studying these tumors. The RTI started with two small pilot projects. One pilot study was for the development of a Phase II study of a γ–secretase inhibitor for patients with desmoid tumors (NCT01981551). With the help of the Desmoid Tumor Research Foundation, this trial was able to complete enrollment at the NCI successfully in less than 1 year, demonstrating the value of close collaborations with patient advocacy groups. The second pilot involved a small study focusing on clinical, imaging and genomic findings in patients with NF1-related peripheral nerve sheath tumors that are concerning for transformation to malignant peripheral nerve sheath tumors (NCT02211768). With support by the NCI, detailed imaging studies and genomic analyses have been feasible in these patients and will hopefully assist in the development of a better understanding of the pathogenesis and progression of peripheral nerve sheath tumors in NF1. For each pilot study, the RTI served as a catalyst to forge and strengthen connections between basic scientists, clinicians, industry partners, and patient advocacy foundations, using existing clinical trials infrastructure available at the NCI. The NIH and NCI clinical research infrastructure greatly facilitates clinical research in very rare tumors. The NIH Clinical Center, the nation’s largest research hospital, provides the broad multidisciplinary expertise required for the care and study of very complex pediatric and adult patients who are eligible for participation in research studies. The CCR, NCI provides the clinical trials infrastructure required for the conduct of trials including a protocol office, Institutional Review Board, data safety monitoring committees, research nurse experts, data management, and a technology transfer office, which oversees negotiating agreements needed with academic and industry partners. Basic and clinical researchers can direct their research to areas of unmet need and interest within the mission of the NCI and rapidly translate basic findings to clinical trials and inform basic research with clinical observations. Enrollment of patients with very rare diseases is greatly facilitated by the ability to travel patients at government cost to the NIH Clinical Center. Currently, evaluations performed and treatments administered at the NIH are not charged to the patient or their insurance, which reduces barriers to participation in clinical trials. International enrollment of patients has been feasible and has allowed for timely conduct of trials in even very rare diseases . With the ability to recruit patients with very rare diseases, the NIH has the ability to not only address tumor manifestations, but to also gain an in-depth understanding of the natural history of non-tumor manifestations of rare diseases. In addition to conducting NIH initiated trials, the NCI can assist cooperative groups in enrolling patients with very rare diseases who would otherwise not have access to participate due to geographic location. To facilitate this cooperation, researchers outside of the intramural research program can utilize the NIH infrastructure through an U01 grant mechanism, which fosters collaboration of NIH intramural and extramural researchers. 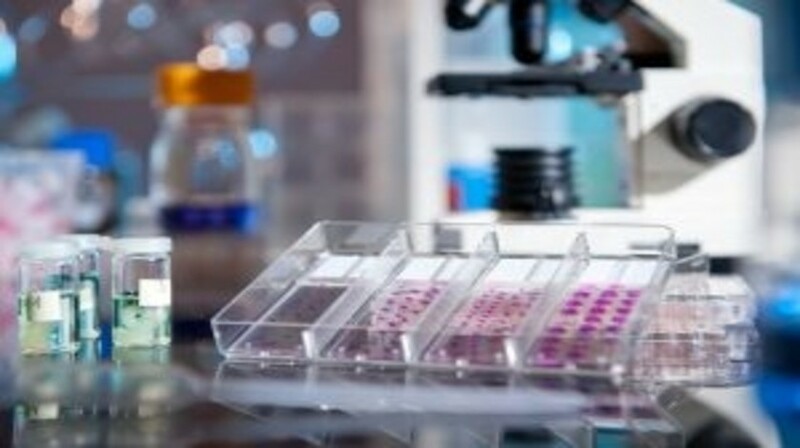 In addition to the robust clinical infrastructure available at the NIH Clinical Center, the Center for Cancer Research and NIH provide many state-of-the-art facilities and resources for basic researchers studying rare tumors. For example, the availability of in-depth genomic analysis, animal imaging, and high-throughput drug screening helps basic researchers better understand the biology of rare tumors and develop candidate therapeutics for progression to the clinic. A genomic survey of Ewing sarcoma has identified frequent mutations in this rare tumor . Metastatic pheochromocytoma is being studied in a mouse model using micro-computed tomography and respiratory-triggered magnetic resonance imaging . One of the world’s largest natural product repositories has led to the identification of novel candidate therapeutics for the treatment of renal cell carcinoma [7, 8] and malignant nerve sheath tumors and astrocytoma . Multidisciplinary science and access to unique resources have been key features of these advances. One example of a multidisciplinary effort and collaboration of investigators within and outside of the NCI is the NIH wild-type GIST clinic. Although PDGFRA or KIT mutations have been identified in many gastrointestinal stromal tumors (GIST), ‘wild-type’ GIST (wt-GIST) has been characterized by lack of these mutations. The NIH Pediatric and wt-GIST Clinic was founded in 2008 and brings patients with wt-GIST to the NIH for a comprehensive clinical evaluation by intramural and extramural disease experts, who provide clinical recommendations. At the same time, participants provide research specimens including archival tumor tissue and other biologic samples for in-depth molecular and genomic analyses. This collaborative effort has greatly increased the understanding of the natural history of wt-GIST, and also resulted in important scientific discoveries. The initial report on 34 patients identified that all patients with wt-GIST lacked succinate dehydrogenase (SDH; mitochondrial complex II) B expression by immunohistochemistry, and 12% had germline SDHB or SDHC mutations [10, 11]. Subsequent studies demonstrated hypermethylation of wt-GIST and other SDH deficient tumors in comparison to KIT-mutant GIST, and that SDHC epimutation explained hypermethylation in tumors that did not harbor SDH mutations [12, 13]. Other SDH-deficient, hypermethylated tumors include certain renal cell carcinomas, pheochromocytomas, and gliomas [14–19]. Investigators with specific expertise in these rare tumors are collaborating at the NIH in the development of therapies targeting SDH-deficient and hypermethylated tumors. Developing therapies for rare tumors represents a critical unmet need. Successful research in rare tumors may require multidisciplinary and multi-institutional collaborations. The Center for Cancer Research and the NIH Clinical Center have already fostered fruitful research in individual rare tumors. The Rare Tumor Initiative will take advantage of the lessons learned from past success stories and apply them toward expanding rare tumor research at the Center for Cancer Research. SEER Cancer Statistics Review 1975-2012: Non-Small Cell Cancer of the Lung and Bronchus (Invasive) (2015). National Institutes of Health: National Cancer Institute: Surveillance, Epidemiology, and End Results Program. Qian H, Gao F, Wang H, Ma F. The efficacy and safety of crizotinib in the treatment of anaplastic lymphoma kinase-positive non-small cell lung cancer: a meta-analysis of clinical trials. BMC Cancer. 14, 683 (2014). Fox E, Widemann BC, Chuk MK et al. Vandetanib in children and adolescents with multiple endocrine neoplasia type 2B associated medullary thyroid carcinoma. Clin Cancer Res. 19(15), 4239–4248 (2013). Brohl AS, Solomon DA, Chang W et al. The genomic landscape of the Ewing Sarcoma family of tumors reveals recurrent STAG2 mutation. PLoS Genet. 10(7), e1004475 (2014). Martiniova L, Kotys MS, Thomasson D et al. Noninvasive monitoring of a murine model of metastatic pheochromocytoma: a comparison of contrast-enhanced microCT and nonenhanced MRI. Journal of magnetic resonance imaging: JMRI. 29(3), 685–691 (2009). Ratnayake R, Covell D, Ransom TT, Gustafson KR, Beutler JA. Englerin A, a selective inhibitor of renal cancer cell growth, from Phyllanthus engleri. Org Lett. 11(1), 57–60 (2009). Sourbier C, Scroggins BT, Mannes PZ et al. Tonantzitlolone cytotoxicity toward renal cancer cells is PKCtheta- and HSF1-dependent. Oncotarget. 6(30), 29963–29974 (2015). Turbyville TJ, Gursel DB, Tuskan RG et al. Schweinfurthin A selectively inhibits proliferation and Rho signaling in glioma and neurofibromatosis type 1 tumor cells in a NF1-GRD-dependent manner. Mol Cancer Ther. 9(5), 1234–1243 (2010). Janeway KA, Kim SY, Lodish M et al. Defects in succinate dehydrogenase in gastrointestinal stromal tumors lacking KIT and PDGFRA mutations. Proc Natl Acad Sci U S A. 108(1), 314–318 (2011). Miettinen M, Killian JK, Wang ZF et al. Immunohistochemical loss of succinate dehydrogenase subunit A (SDHA) in gastrointestinal stromal tumors (GISTs) signals SDHA germline mutation. The American Journal of Surgical Pathology. 37(2), 234–240 (2013). Killian JK, Kim SY, Miettinen M et al. Succinate dehydrogenase mutation underlies global epigenomic divergence in gastrointestinal stromal tumor. Cancer Discov. 3(6), 648–657 (2013). Killian JK, Miettinen M, Walker RL et al. Recurrent epimutation of SDHC in gastrointestinal stromal tumors. Science Translational Medicine. 6(268), 268ra177 (2014). Letouze E, Martinelli C, Loriot C et al. SDH mutations establish a hypermethylator phenotype in paraganglioma. Cancer Cell. 23(6), 739–752 (2013). Bardella C, El-Bahrawy M, Frizzell N et al. Aberrant succination of proteins in fumarate hydratase-deficient mice and HLRCC patients is a robust biomarker of mutation status. J Pathol. 225(1), 4–11 (2011). Bardella C, Pollard PJ, Tomlinson I. SDH mutations in cancer. Biochim Biophys Acta. 1807(11), 1432–1443 (2011). Turcan S, Rohle D, Goenka A et al. IDH1 mutation is sufficient to establish the glioma hypermethylator phenotype. Nature. 483(7390), 479–483 (2012). Yan H, Parsons DW, Jin G et al. IDH1 and IDH2 mutations in gliomas. N Engl J Med. 360(8), 765–773 (2009). Ricketts C, Woodward ER, Killick P et al. Germline SDHB mutations and familial renal cell carcinoma. J Natl Cancer Inst. 100(17), 1260–1262 (2008). Dr Reilly joined the Rare Tumor Initiative in 2013 as a member of the Steering Committee, and became part of the leadership committee in 2014. She is an Associate Staff Scientist in the Office of the Director, CCR, NCI and heads a research lab studying the biology of nervous system tumors associated with Neurofibromatosis type 1. Prior to joining the Rare Tumor Initiative, Dr Reilly was an investigator in the Mouse Cancer Genetics Program, CCR, NCI. Dr Reilly received her B.S. from Yale University and her Ph.D. from Harvard University, studying developmental biology in Xenopus laevis. She was a post-doctoral fellow of the Leukemia and Lymphoma Society, the AACR-Sidney Kimmel Foundation for Cancer Research, and the American Cancer Society at the Massachusetts Institute of Technology, studying genetic modifiers of neurofibromatosis-associated cancers. Dr Sandler has served as Executive Secretary of the President’s Cancer Panel since 2005. From 1999 through 2004, Dr Sandler served as Executive Secretary of the NCI Board of Scientific Counselors, Subcommittee 1 – Clinical Sciences and Epidemiology. In 2004, she became Acting Chief of the NCI Institute Review Office and served as Chief of the Office from 2006 through 2012. Since 2013, Dr Sandler has also served as the Special Assistant to the Director, NCI Center for Cancer Research, on the Rare Tumors Initiative. Dr Sandler received her B.S. in biology from Rensselaer Polytechnic Institute and her Ph.D. in biology from The Johns Hopkins University. She carried out her post-doctoral research at the National Cancer Institute. Her research background is in the areas of molecular tumor virology and gene therapy. Dr Widemann is a senior investigator and head of the Pharmacology and Experimental Therapeutics Section (PETS). After obtaining her M.D. from the University of Cologne (Germany) and completing her pediatric residency she joined the NCI Pediatric Oncology Branch as a hematology/oncology fellow in 1992. She subsequently joined the PET Section and received tenure at NCI in 2009. Her primary research interests are in the development of early clinical trials and effective therapies for children and young adults with refractory cancers and genetic tumor predisposition syndromes (GTPS) such as neurofibromatosis type 1 (NF1), and multiple endocrine neoplasia types 2A (MEN2A) and 2B (MEN2B). Due to distinct characteristics of GTPSs, Dr Widemann’s team developed novel trial designs, methods of image analysis, and trial endpoints, which allow for more meaningful and safe evaluation of novel agents. The authors are supported by the Intramural Research Program of the NIH, NCI. Please note, Oncology Central does not assume copyright for this article.